Oxford dictionary defines team as “Two or more people working together”. Well, that is the meaning of JUST a team. When I was studying in high school, I used to learn martial arts in the evening. In martial arts, there is something called JUDO, amazing techniques (which you usually see in movies) performed live for entertaining the audience. But believe me, it is not as easy as it looks. It requires a lot of practice. Even more than practice, it requires TRUST, because while performing the technique there are times when your life is in the hands of other person and sometimes your partner’s life is in your hands. One wrong move… PPPOOOOHHHH!!! and you are gone. My martial arts partner was Raghav Gupta. There was hardly anything common between us except the passion to win, the love to learn and do difficult things and of course being the best at what we do. During the Judo performance, you can not perform individually. You can do nothing alone. 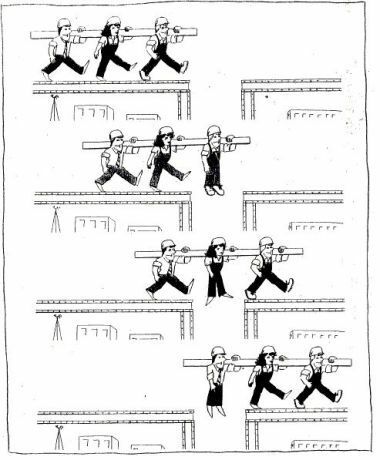 You have to work in a team. And to work in a team requires unconditional TRUST. Once you have that trust, you can do wonders no matter in which field you are fighting to win. There will be times when you will be tested by God. There will be times when you or your partner(s) will fall short, when you or your partner will not perform up to the mark. Do not worry. Just TRUST him, and you’ll find that you have outmatched everyone else. Me and Raghav performed a judo demonstration in front of the whole school on the eve of black belt distribution. Yes, we did a lot of mistakes (which might have happened because of the amalgamation (mixture) of nervousness and excitement of being a new Black Belt) but we trusted each other and finished the act as it was to be… and we got big round of applause from the audience and that’s what matters at the end. So even if your team is not advancing according to your expectations, be there, hold on, trust your teammate(s) and you’ll be able to do wonders in life.